Myanmar is a long-established ancient civilization country, also known as Burma. On January 4th, 1948, Myanmar declared independence from the Commonwealth and established the Republic of the Union of Myanmar. On August 8th, Home & Abroad News Press Junior Journalist Delegation was invited by the Myanmar Ambassador to China, H.E. Mr. Thit Linn Ohn to visit the Myanmar Embassy in China. At 4pm, the junior journalists waved the national flags of China and Myanmar while entering into the embassy. The first thing we saw was many smiling faces of Myanmar diplomats. Smiles, greetings and handshakes well demonstrated the friendly traditions of Myanmar. After a while, Ambassador Thit Linn Ohn walked into the conference hall in a black suit and personally greeted to all junior journalists. As an opening, the embassy played a short video about Myanmar to the delegation. Through colorful pictures, vivid language, real humanities and beautiful sceneries, we learnt that Myanmar is a real and amiable country with rich customs and human history. Ambassador Thit Linn Ohn took out his notebook and answered the question very seriously. He said that the friendship and diplomatic relations between Myanmar and China have already reached the 68th anniversary. Myanmar was one of the first group of countries that recognized the new China. “Paukphaw” is the unique and friendly name between the people of Myanmar and China. The “Paukphaw friendship” includes many things between China and Myanmar’s thousands of years friendship. This is a common treasure shared by the people of the two countries. The children and young people in both countries can naturally carry on this precious friendship and become the strong force for promoting peace, stability, development and prosperity in Myanmar and China. “There are three ways for youth exchanges between Myanmar and China: the first is the direct exchange between the Ministry of Education of the two countries and the activities organized by the two governments; the second is the exchange activities of non-governmental organizations and some social organizations; then it is through privately organized exchange activities.” the ambassador answered. Ambassador Thit Linn Ohn said that, as human beings, we have to constantly work hard and improve ourselves so that we can become the pillars of society. Only by developing and adhering honesty, we can have a good life. The key idea of this old saying is to deliver the core values of the mainstream culture of all nations, so as to promote the exchanges and mutual understanding among all countries. The ambassador told him that Myanmar is a long-established ancient civilization and a famous Buddhist country. Myanmar has beautiful sceneries, such as Sule Pagoda and Shwedagon Pagoda. Yangon, Myanmar is the most worthwhile place to visit. If you go to Myanmar but not see the Kandawyi Lake (Great Royal Lake) in Yangon, that will be the biggest regret in life. Myanmar tourism resources are very rich, and it is good to travel to Myanmar anytime in a year. At the end of the interview, the junior journalists said with deep feelings that as a new generation, as the next generation of diplomatic relations, we should continue to uphold this everlasting spirit of friendship and cooperation to inherit and continue the friendship between China and Myanmar. 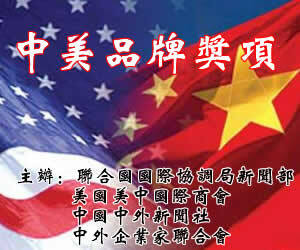 The friendly relations between the two countries require the efforts of young people from both countries.